60 years of glorious run by Netarhat Vidyalaya since commencement of its journey on 15th November, 1954, is an occasion for grand celebration by all those associated with this great institution. Nestled on the picturesque Netarhat plateau this residential school, conceptualized to run on the model of India's ancient 'Gurukul' system, had an humble yet perfect beginning when a group of dedicated teachers joined hands to start giving shape to this vision. The students (10-12 years of age) chosen on the sole criterion of merit and merit alone, formed the nuclei for this unique experiment. The experiment in the initial years, met with some remarkable successes when boys from this school passed out bagging most of the top positions at the state level; and later, distinguished themselves at college and university levels; and finally in the service of the motherland as top grade Doctors, Engineers, Academicians, Administrators, Diplomats and in all walks of life. And what is more important is that the Alumni have truly imbibed the traditional Indian values and are practicing in their day-to-day life. The tradition continues to this day. The past couple of decades have also witnessed large number of Alumni of this institution spreading their wings far and wide globally and are located in USA, Canada, EU countries, Middle East and SE Asia. The Netarhat Old Boys Association (NOBA) now boasts of nearly 4000 members in India and across the globe and thanks to modern technologies, they are not too far from each other each single day. 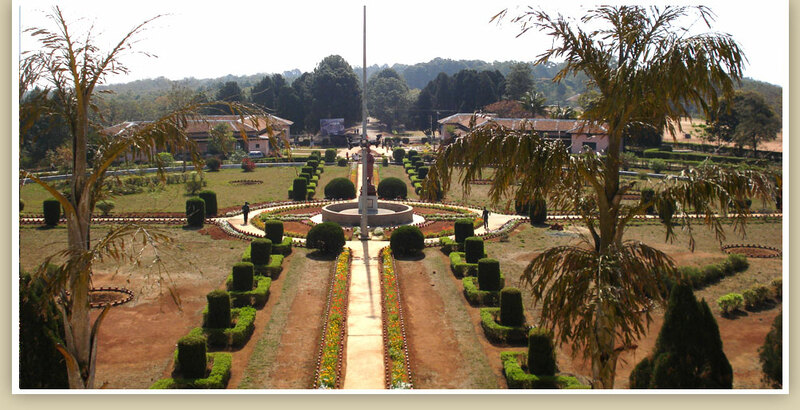 Diamond Jubilee is a huge occasion and deserves to be celebrated in a manner most befitting by school's Alumni. In the last meeting of NVS Executive Committee held at Netarhat on 31st December,2013 it was resolved to have a week-long celebrations at the school's premises in the run up to the grand finale on 15th November,2014. For this to take a shape and finalize, it was decided to seek suggestions from NOBA chapters all over - in India and abroad - for drawing the programmes (for Day-1, Day-2 and so on and for the final day). So here we are! All NOBA Chapters/Alumni are invited to forward their suggestions for the week-long celebrations of Diamond Jubilee year of Netarhat School. These suggestions can be mailed to us on diajub@netarhatvidyalaya.com . (5) suggestions from all NOBA Chapters / Alumni on this issue may be solicited. All such suggestions to reach within next month or so, say by end of February, 2014. Powered by : COMPUTER Ed.